In November 2010 we were contacted by our client to provide the temporary structures required at the 2012 International Scout Jamboree in Essex. During the period between the initial consultation and the event, the structure requirements steadily grew to 64 units with a build time of just over 10 days. Each marquee was designated a name and the uses included, First Aid, Kitchen/Dining areas, Supermarket, Entertainment areas, Bars, Chill Out Zones, Internet Cafe, Media Centre, and even a 400 seat Cinema! The Event Organisers as you can imagine were meticulous to the nth degree and certainly made the project as easy as they could for us. The ground design of the event was also extremely interesting with the whole area depicting the earth and divided into different zones. The centre zone known as the Artic Circle played host to the centre stage where most of the larger activities took place including the opening and closing ceremonies whilst the adjacent Greenwich zone contained the food and entertainment areas. 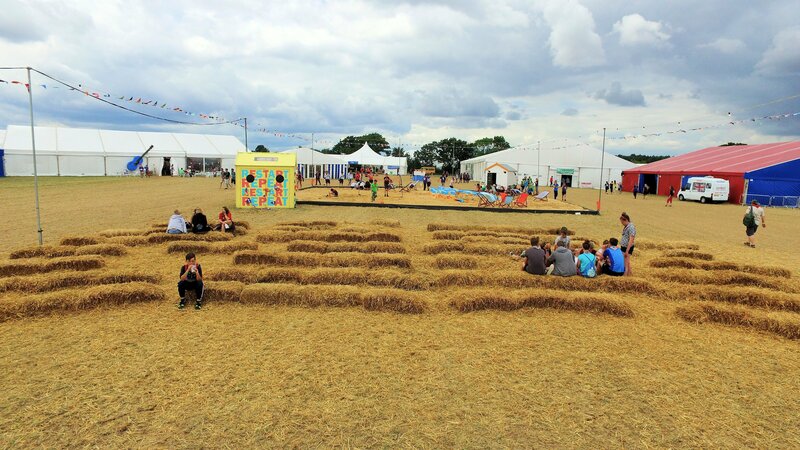 Some 21 months after the initial contact with Danco, our site teams arrived at the deserted fields in Essex to prepare the structures for the event. Each team set up their accommodation trailers and started the build making the most of the great weather and sunny evenings. Whether they needed 4 metre high legs for the operations HQ, raised cassette flooring to give a solid base to the structure or the black out PVC roofs of our festival marquee for their dance tent, Danco had the necessary stock in-house to deliver the job in full. Using track way to protect the site from damage, the build continued without a break to ensure that everything was in place well before the deadline that had been agreed. On the 18th August the Jamboree officially got under way with over 9,500 Scouts, Guides and organisers from over 36 nations being represented. It truly was an International event, the largest of it’s kind in the U.K. and one that we are very proud to have been involved with. It was even bigger and better than the previous, with over 80 structures and more activities than we thought physically possible in one week!